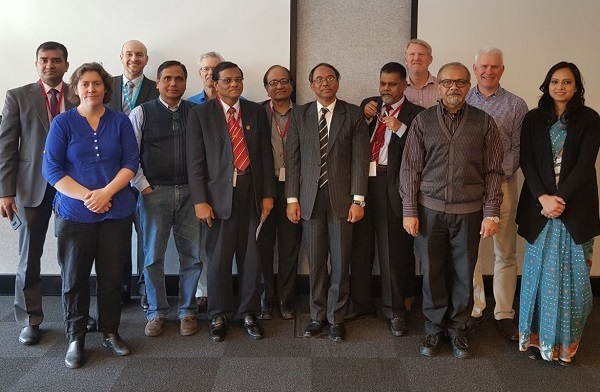 Senior officials from the Bangladesh agriculture and water sectors have come to Australia to learn from Australia’s irrigation techniques, challenges and management expertise as they focus on capacity development in water management for food security in Bangladesh. Bangladesh lies on a large and deep aquifer system with both deep and shallow groundwater resources. Irrigation relies on groundwater (80%) and as well as surface water (20%), with up to 97% of the northwest region irrigated by groundwater alone. Future water use will be tied to the production of the dry season boro rice crop which uses 95 per cent of the total irrigation supply, while other dry season crops use significantly less water. The agriculture sector is by far the largest consumer of water in Bangladesh and will need to be managed to ensure it is used sustainably to meet the country’s future food security needs. Surface water and groundwater are highly linked and policy for managing water for food security should consider them as an integrated single source. This 5-day High Level Study Programme jointly led by ICE WaRM and CSIRO, aims to expose participants to the overall management of water resources in Australia. Led by Dr Kelvin Montagu for ICE WaRM and Dr Mohammed Mainuddin from CSIRO, the programme provides exclusive opportunities to leaders of the agriculture and water sectors to discuss the integrated issues facing them in Bangladesh. Topics addressed include, policy and legal issues, research on efficiency and management approaches and up to date technical tools and solutions with a focus on irrigation. Senior officials from the Department of Agriculture and Water Resources as well as the Murray-Darling Basin Authority have shared Australia’s national water management strategies. The visit also includes discussions with public administrators at State and District level, specialised units for water management and field visits to see operations across Canberra, Sydney and rural NSW. 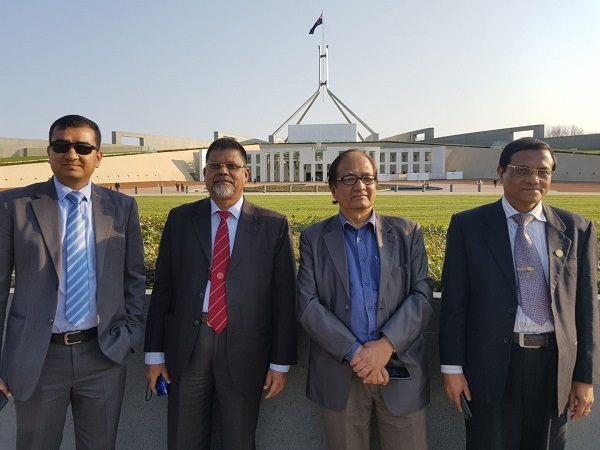 Dr Manuddin Mohammad is leading CSIRO’s research work in Bangladesh as part of their Sustainable Development Investment Portfolio (SDIP) activities. This programme is supported by CSIRO and ICE WaRM through the Sustainable Development Investment Portfolio (SDIP) and the Australian High Commission in Dhaka through the Australia Awards programme.